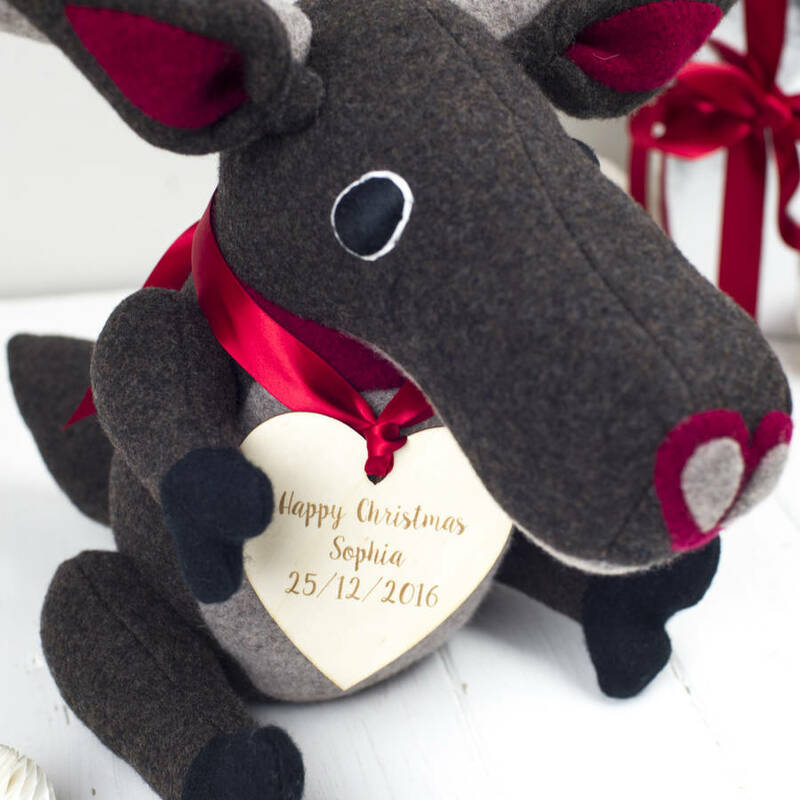 A stunning large soft toy reindeer, beautifully hand crafted from softly felted yorkshire wool and handmade to order with love in London. These reindeer can also come with a personalised wooden keepsake heart with a name and date on it. This can then be hung on the tree at Christmas for years to come afterwards. 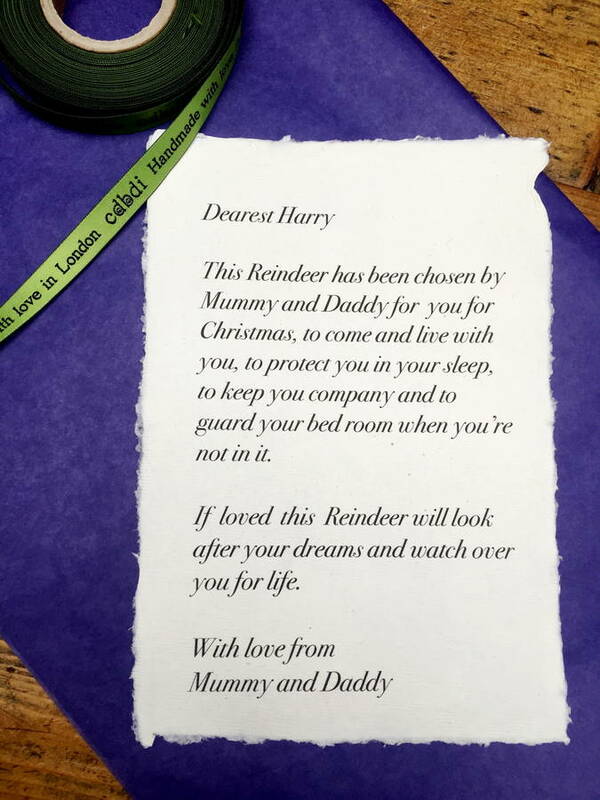 To make your reindeer even more special, a personalised scroll can be written and sent with the toy. 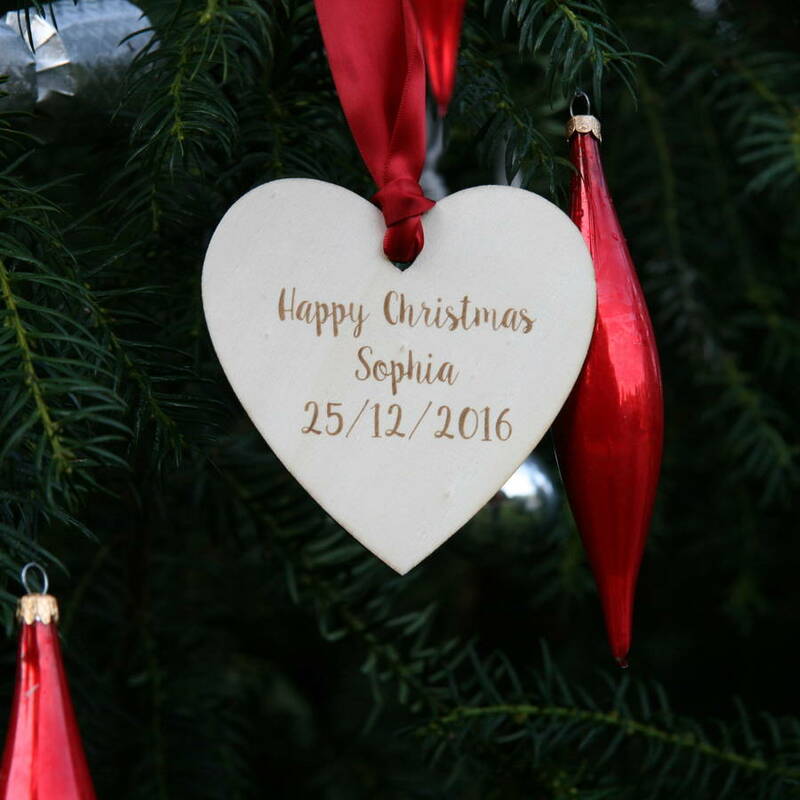 Please see the image showing how the scroll will be personalised and please enter your name and the name of the recipient if you have selected the scroll option. 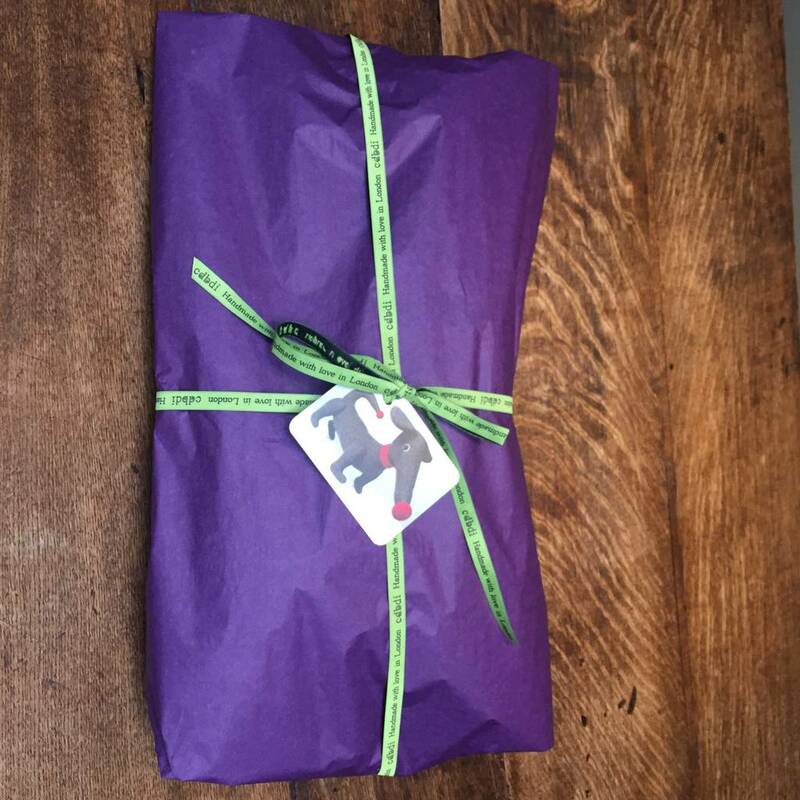 Reindeer are wrapped in tissue paper and ribbon, bubble wrap and sent free tracked post in the U.K in a tough postal bag. They can be posted anywhere in the world but postage will be added to these orders. 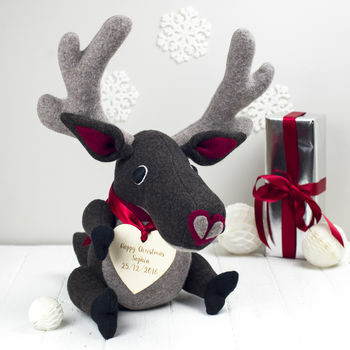 The lambswool for the reindeer comes from Hinchliffe Yarns, Denby dale, Yorkshire. i then softly felt the wool to create a cuddly, quality finish that is built to last. 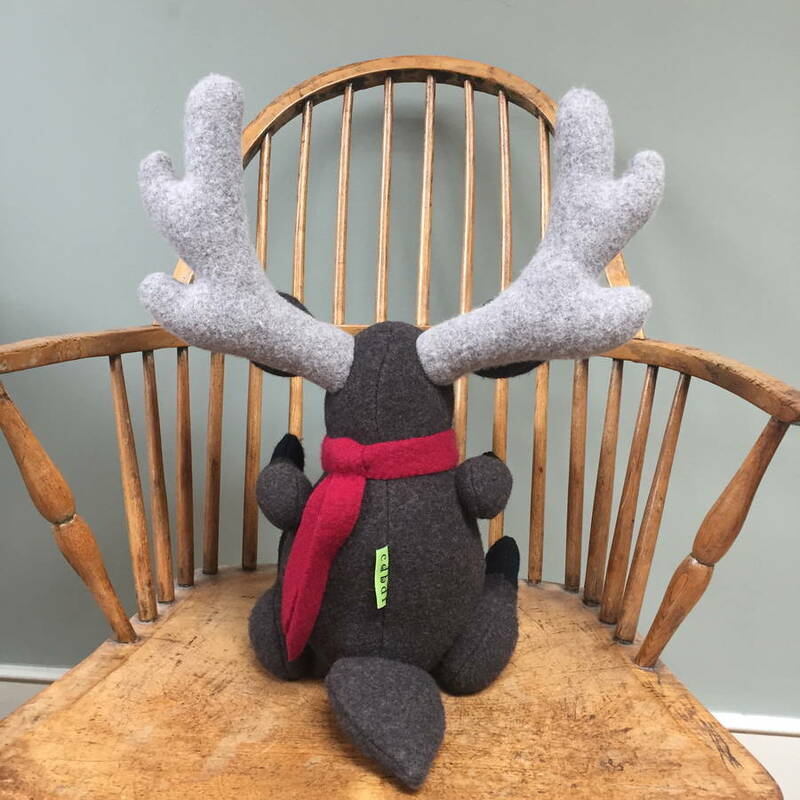 The toys are then designed and handmade by Vicky with love in London. Sponge clean or dry clean. 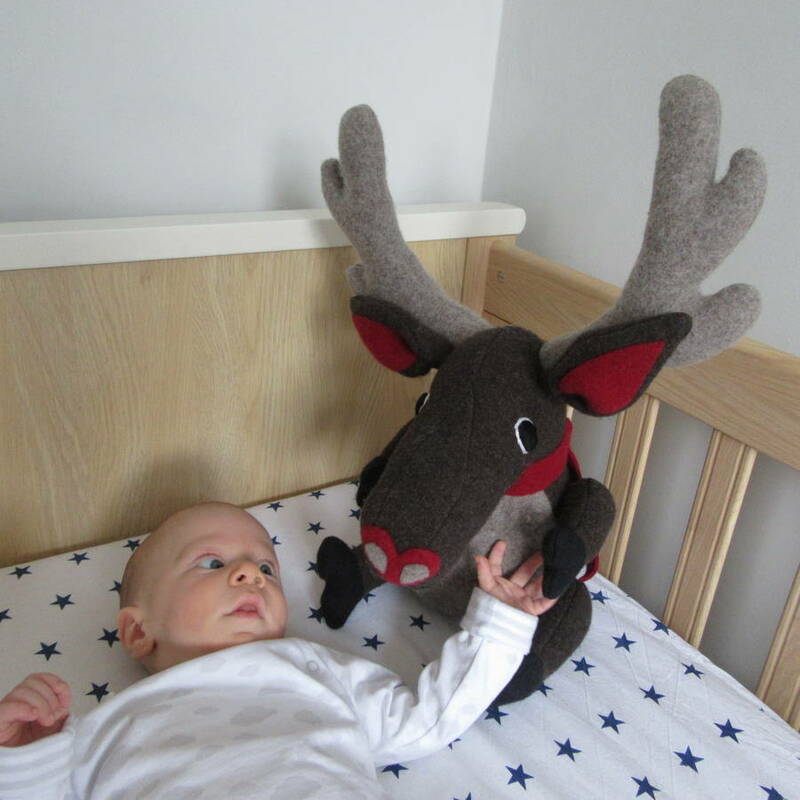 These reindeer are tested to the highest standards, suitable from birth and CE marked. If over time the wool becomes a bit 'bobbly' shave gently with a safety razor, don't shave over the stitching! 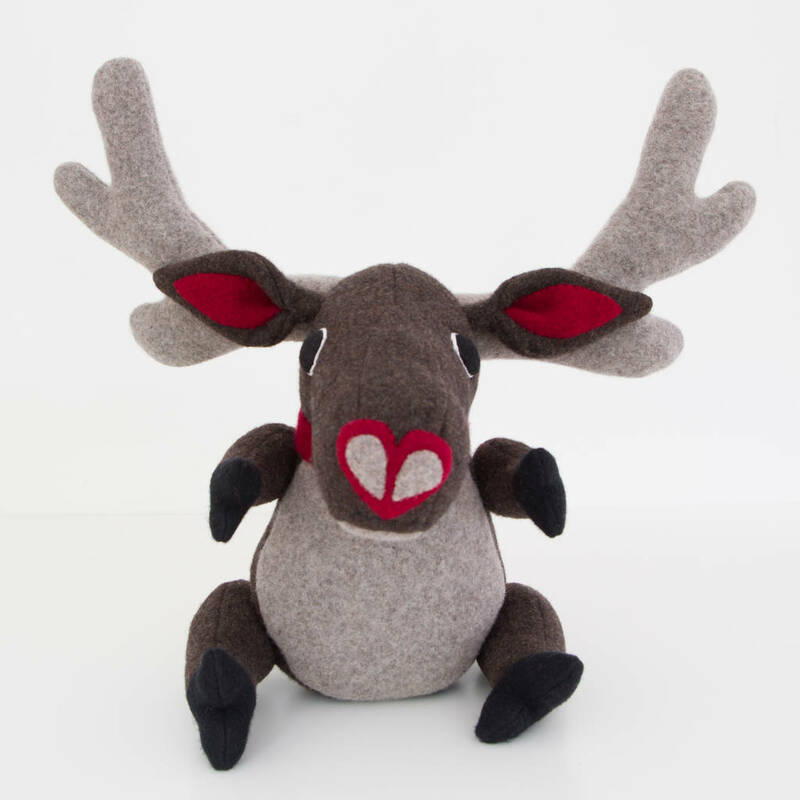 Height: 43cms from the top of the antlers to the tail. This product is dispatched to you by cdbdi.